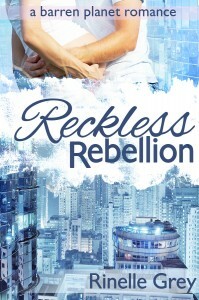 Well, I posted towards the end of last month that I hoped to have Reckless Rebellion finished by the end of the month. I did try. I sat down to write, but the ending just wouldn't come. It seemed forced, and lame, and not satisfying at all. So instead I went back to the beginning. I knew I had to up the stakes for my characters, so that their actions in the end seemed real and right, not out of place as they were feeling to me. I spent several days just writing out my thoughts in the form of “what if this happens? but that would then mean this, and maybe this would be better? How can I make this happen? What if I did this?” etc. And eventually, the ideas started coming. Since then, I've been re-writing some of the key scenes, making the changes I'd decided on. I've just started writing the actual ending today, and it will probably take a couple of days (when I can fit it in around being a Mum, my daughter seems to need me a lot right now), then I need to go back and change a couple more bits, then it's off to the editors. I've also spent a bit of time researching editors. Starting early this time, so that I'm not scrambling to find someone at the last minute. Reckless Rebellion will go through two lots of edits, like Reckless Rebellion. First a critique/development edit, to catch any slow parts, storylines that don't make sense, and plot holes, then I'll make those changes, before sending it off for a copy edit. Then I'll have a couple of friends proofread for me. It's such a long path! But worth it in the end, to have a story I'm happy with. I'm estimating about two months until it's ready for publishing. In the meantime, I have an idea I'm working on, for anyone who's needs a bit of a Tyris/Marlee fix before the next novel comes out. Sign up for my newsletter if you want to know more, or to be notified when the next book comes out. And if you haven't read Reckless Rescue yet, check out this lovely review over at soireadthisbooktoday. I can’t wait to read it! I love how structured you are. I’m rubbish at editing – I jump about all over the place, looking at punctuation one minute, sentence flow the next. Maybe if I was sending it to an editor it would focus the mind. Must crack on with the search. By the way, when I signed up to the newsletter, the ‘back to the webite’ button didn’t take me anywhere. Might be just my internet as it can be temperamental. Hmm, not so sure about structured! Any little bit helps though! I fix obvious grammar/spelling issues as I go, but I find that I need to get the story right first, because there’s no point wasting time getting a scene just right, only to find it doesn’t fit in the story after all! Thanks for letting me know about the newsletter. Will check it out. Can you believe I haven’t signed up for my own newsletter yet? LOL. Fixed now, thanks! I’m still learning my way around mailchimp! Great service, but a little overwhelming at first. Hmm. I want to start reading Reckless Rescue. Tyris and Marlee sound like interesting characters with complicated choices, and I read the first chapter and I liked it. Editing what you can for a period is definitely better than floundering on what you can’t. It sounds like you used your time well, and your long term plan for editors and proofreaders should bring you closer to that product you’re happy with. Good luck, Rinelle! Thanks John. I am feeling quite positive about it at the moment. Now if only I could figure out how to find the time to get it all done! And school holidays start next week. Not sure if that is going to help or hinder!